Ross's Law Marketing Blog: Is your website wearing bell bottoms? 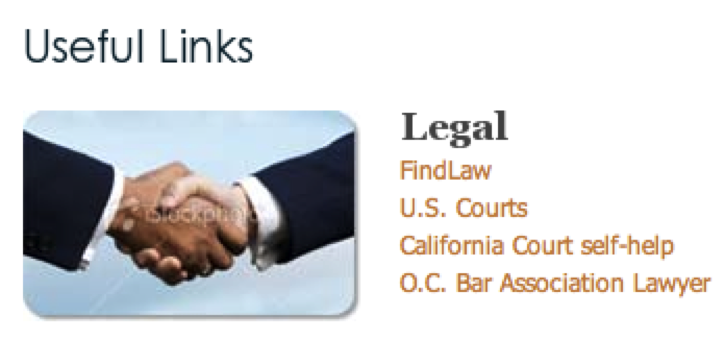 -- "Useful Links." Is your website wearing bell bottoms? 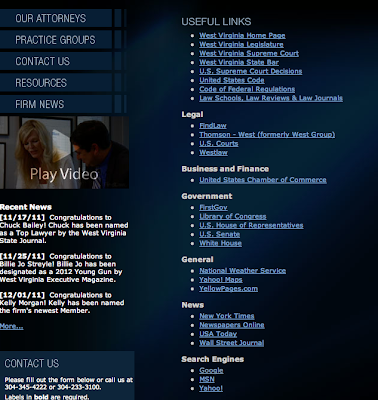 -- "Useful Links." ...then fire your web developer and get a new website ASAP. Why? Because they're making you and your firm look technologically clueless and out of touch. Basically, your website is wearing bell bottoms. You've ripped out the green shag carpeting in your house -- it's time to do the same thing for your website. Do you know how "Helpful Links" pages got started? Back in the1990s, when law firm websites were newer, effective search engines like Google didn't really exist yet. Information on the internet was relatively hard to find. The state-of-the-art thinking back then was that you wanted to make your site "useful," so that clients and prospects would keep coming back. The most popular idea was to collect a variety of "Helpful Links" that people could use. In other words, youngsters, lawyers and law firm marketers thought they could act like Google, causing prospects to return regularly to their website because it was such a helpful way to find other things. The attitude was that clients would think, "I can't remember how to get to America Online, so I'll find it by going to that smart and helpful law firm's website." This is why many first-generation websites still have live links to Alta Vista, Lycos, time/currency calculators, etc. They simply haven't bothered to get rid of them. 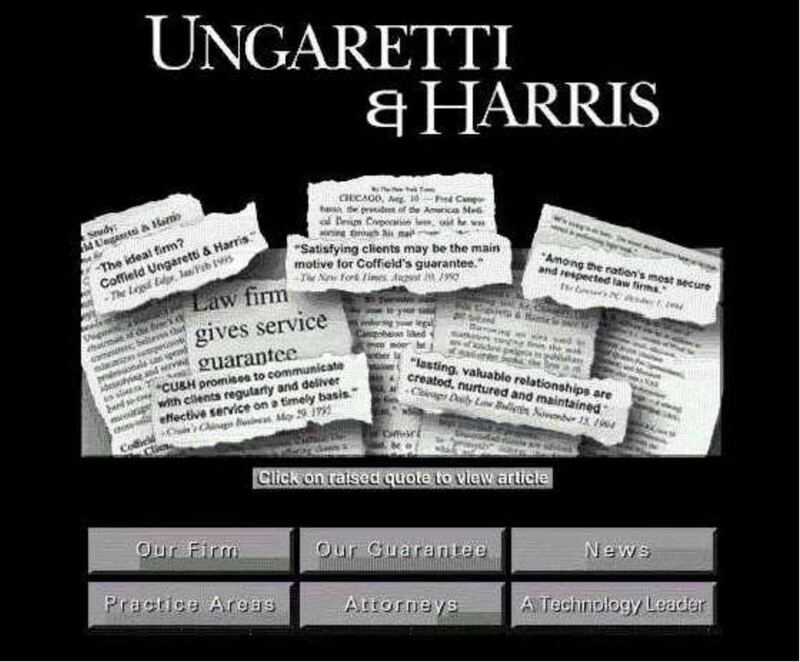 They're the vestigial tail of law firm websites. If you still have a generic "Links" page, it’s proof that no one’s minding the shop. Frankly, you need to change whoever is in charge of your website too, whether that’s your local web developer or the billion-dollar legal company that sold you a cheap template site, because they’re now publicly embarrassing you. The website is reflecting poorly on your firm and its technical skills -- a high-quality organization doesn't have an eight-year-old website. With rare exception* these Links should have been removed YEARS ago. If you have a FindLaw or Lexis/Martindale-Hubbell website with a "Links" page, or any site connected to WestLaw, The Wall Street Journal, Alta Vista, or an obvious government office or resource, we'll consider that a 10% off coupon and redesign your site at a discount. * If you have a narrow specialty, industry, or other focus that is so unusual that you legitimately CAN become a real resource, consolidating a variety of different tools together in a uniquely helpful way, you might be one of the exceptions. However, if a basic Google search can compile the same things, simply fuhgeddaboudit. Why not take this opportunity to subscribe to our blog! 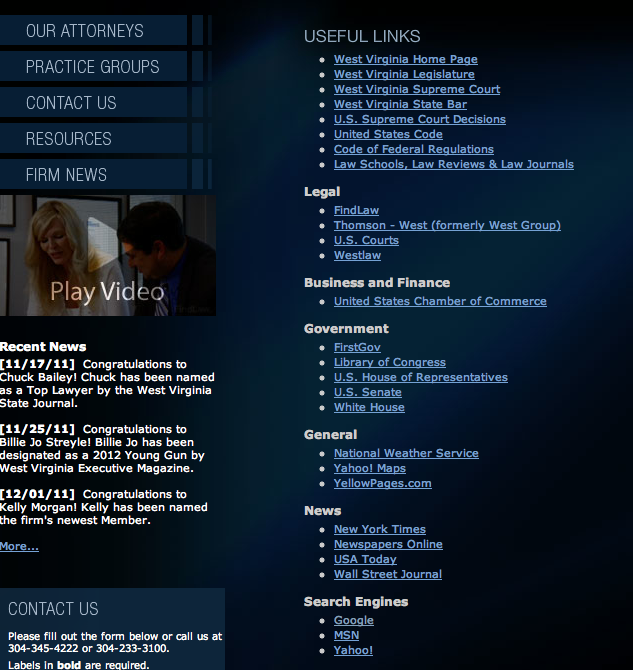 "* Links that make your legal website look outdated and silly. [Ross's Law Marketing Blog]"